As a hugely popular cosmetic treatment, teeth whitening can seriously improve a person’s smile, transforming a set of stained or discolored teeth into dazzling, pearly whites! But, when it comes to removing stains from your teeth, it is always best to talk with your dentist about your options. It’s best to take your lifestyle and expectations into consideration when choosing a teeth whitening procedure or product. Teeth whitening products are used to remove stains from the enamel and dentin; however, different products yield different experiences. Before embarking upon your treatment, it might be a good idea to consider how a few of these treatments work and which one meets your unique needs. Zoom whitening is an in-office treatment whose name provides a good indication as to its strongest asset – speed! A hydrogen-based gel is applied to the teeth and a Zoom light is used to penetrate and break up the stains. The process is fast, taking only a single office visit. The entire treatment takes less than an hour to complete and your dentist may send you home with custom trays to maintain your bright smile. Opalescence is a gel containing an active ingredient that – like Zoom! – penetrates the enamel to break down discoloration and stains, but it is provided to patients who wish to undergo treatment in the comfort of their own home. The gel is provided by the dentist, and custom mouth trays are designed to fit the customer’s teeth. The trays and the Opalescence gel are sent home with the patient with detailed instructions from their dentist for a customized treatment plan. Another “at-home” option is a daytime tray. The customized trays are created prior to start of treatment and patients are instructed on how to use them as they go about their usual daily activities. Zoom Day White involves using a whitening agent that works extremely quickly, and the patient may only need to wear their trays for 15 minutes twice a day! If daytime isn’t as convenient as a night-time treatment, Zoom Night White offers patients a chance to whiten at bedtime. Their dentist will assist them with their trays and whitening treatment – patients use the take home kit and can expect to see noticeable results within just a few days. Results vary according to the type of stain or discoloration and the course of treatment selected. Some stains are more difficult and stubborn than others; thankfully, teeth whitening treatments are carefully monitored and adjustments are made according to the patient’s needs. If you are in the Gardena, CA area, please contact South BayDentistry for information on teeth whitening. The professionals at South Bay offer Zoom, Zoom Day White, Zoom Night White, and Opalescence teeth whitening treatments. 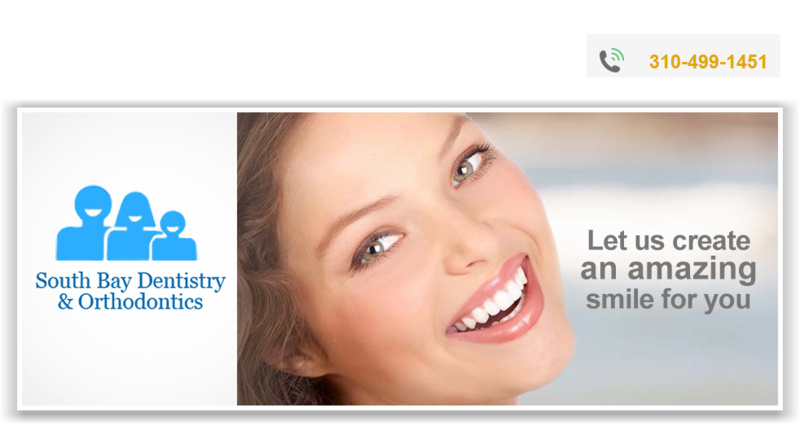 Schedule an appointment today by phone at 310-499-1451, or via their website at www.southbaydental.com. Thanks for sharing. I am getting Teeth Whitening Plantation next month. Keep exploring. I have found some great health information's from your blog post. Good thing that you have provided some of the informative dental health content here. If you're looking for the best dentist near in Australia, the Dentist Redcliffe would probably help you with your concern for particular thing in Dental problems. Thank you so much for this helpful post. I really like your article. I think before applying these, you should consult with the dentist. Dental discount plans Texas can help to get discount on dental treatment.